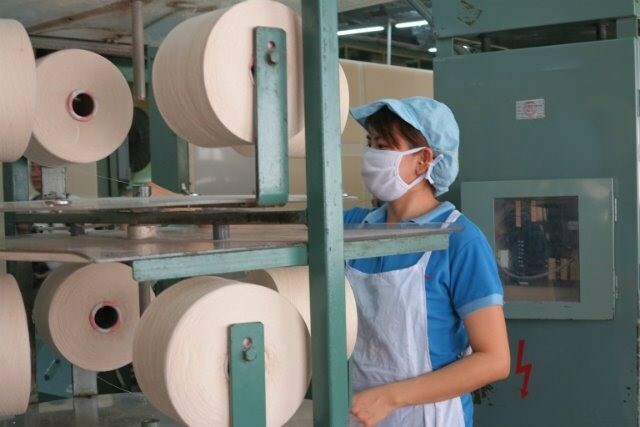 Hanoi (VNA) - The US Department of Commerce (DOC) last week announced the initiation of anti-dumping and countervailing duty investigations on the import of fine denier polyester staple fibre from China, India, the Republic of Korea, Taiwan and Vietnam. These investigations are based on petitions filed by DAK Americas LLC; Nan Ya Plastics Corporation, America; and Auriga Polymers on May 31, 2017. They allege that polyester staple fibre products are being shipped to the US at prices lower than their normal value. In addition, dumping has caused significant damage to the domestic industry due to price depression. The scope of these investigations covers fine denier polyester staple fibre, not carded or combed, measuring less than 3.3 decitex in diameter, coded HS: 5503.20.0025. The alleged dumping margin for Vietnam’s product is 64.73 percent. In 2016, imports of fine denier polyester staple fibre from Vietnam were valued at an estimated 12.4 million USD, ranking third behind China (79.4 million USD) and India (14.7 million USD). The US International Trade Commission (ITC) is scheduled to make its preliminary injury determinations on or before July 17, 2017.